Good Morning Onward Nation — I’m Stephen Woessner. Have you ever noticed how most people only pay attention to the final product of a successful business owner? What most people don’t see is what the business owner overcame on their path to becoming successful. All of the struggles. All of the daily rejections. The heartaches. The betrayals. The rumors. The criticism. Even the empty bank accounts. And all of those lonely nights while they worked hard to make their vision become a reality. You see, Onward Nation, the only difference between the one who quits, and the one who doesn’t, is that the successful owner showed up every day. The successful owner worked hard every day. They learned from a proven mentor every day. They worked hard to improve every day. They did all this…even though they felt like quitting…every day. And eventually, they became who they are today…a successful business owner. All of this is a very powerful lesson that I learned from Patrick Bet-David, founder and host of the popular YouTube channel, ValueTainment. Onward Nation, if you haven’t already subscribed to Patrick’s YouTube channel, I highly recommend it. Patrick is exceptional at teaching success principles and lessons you can apply immediately in order to move your business onward to that next level. And during this solocast, we are going to dig deep into one of the fundamental – yet underlying principles that I just shared from Patrick. The principle is fundamental to success — but Onward Nation — it is also easy to miss, overlook, or to take for granted. The principle is that there is no such thing as an overnight success. There isn’t. No matter what industry — no matter what sector — the companies that have achieved sustainable success reached their pinnacle after years and years of perfecting their craft. Successful people think about long-term wins – not short-term wins. It is about the long-haul, it is about endurance, and outlasting the competition not just for today – but for years and years down the road. So I am going to share some examples to illustrate this powerful principle. Because it is critically important to realize that success takes time. My hope for you is that you will celebrate the challenges and obstacles that are in your way right now. With the right perspective – you will see them as the gift that they are. Each challenge – each obstacle – each setback – is actually making you stronger — if you let them. Each embarrassing failure is forcing you to think differently — they are testing your commitment to your vital priorities, vital function, and your wherewithal. Will you push forward — or will you quit, Onward Nation? My hope is that you will always push forward and never quit. To that point, I encourage you to go back and re-listen to my interview with Verne Harnish in episode 205 and listen carefully to how Verne introduces himself to you, Onward Nation. The discussion with Verne is so compelling because he takes some time to dispel the overnight success myth by sharing some interesting data points and stories. One of those data points is that there are over 11,000 new companies launched every hour all over the world today. Just think of that, Onward Nation…11,000 new companies an hour. However, the vast majority of those companies will not be successful — they will lack the fortitude — the staying power to effectively scale their business. For example, Verne went on to share that of the 28 million businesses in the United States, about 24 million of the total are solopreneurs and will never scale up. Most lack the resources — and I don’t mean just financial. Often times, as Verne shared, it is not a question of “how much do I need to scale?” but typically a question of who do I need to be in association with in order to scale up over the long haul. Verne cited Apple and how the company had slowly moved along with their 25-year timeline — nearly collapsed — until Steve Jobs came back. At the time Jobs returned, they had 9,800 employees and were nearly broke. And likely all of us know what happened following the iPod’s release in 2001 — but it didn’t succeed right away…in fact…the iPod floundered a bit for a couple of years. But in 2003, it got some traction and now Apple has scaled to over 110,000 employees during the last 13 years. It would be very easy to forget about those first 25 years of trial, error, struggle, losing millions of dollars, nearly going broke, and then focusing on just one thing and doing it with excellence in the iPod — and then traction takes hold. Success requires a disciplined effort over a long period of time. Some people look at Gary Vaynerchuk, CEO of Vaynermedia in New York City, as this guy who came out of nowhere to leap in front of the social media space and is now super popular with a massive following. Couldn’t be further from the truth — and Gary would be the first one to tell you. His story is one of grit, tenacity, outworking the competition, and playing to win for the long term. When Gary launched Wine Library TV — his daily show — for about the first year, his audience was really small…almost discouragingly small…but Gary didn’t quit. Then year two…then year three…then year four…then year five, and then year six. 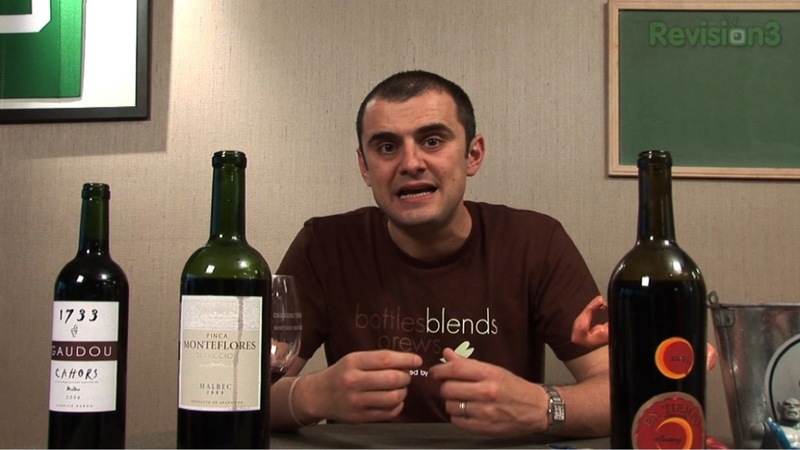 Six years of producing a high-quality show of 20 to 30-minutes of engaging video content — every day — that’s what it took for Gary Vee to win. Just think about that for a minute. The magnitude of content he produced. It is really easy to look at Vaynermedia today and become impressed with the success — heck — nearly 900 in NYC and five other locations across the United States — those are significant accomplishments. But to me, and I suppose it is because I’ve had the rare opportunity to be Gary’s guest at Vaynermedia, to go behind the green curtain to interview him and to learn from him, I know that one of the things he is most proud of — and he should be — is all of the hard work, the struggle, the determination to make something out of nothing. Gary truly enjoys the journey to success — and he would be another one to tell you there are no shortcuts to success. And just because someone gets paid over $50,000 to deliver a keynote today — like Gary does — there is precious backstory there and it’s the backstory that is much more interesting. Let’s take a look at the late Peter Drucker, arguably the godfather of modern day management. Verne Harnish shared with me during our interview that of Peter’s 39 groundbreaking books, only 13 of them were written before Peter’s 65th birthday. Peter wrote twice the number of books after he turned 65. It takes a long time, Onward Nation, to collect, curate, and share the wisdom that is deep and impactful enough to matter and add value to a lot of people, like Peter did. Of his top 10 paintings — six of them were painted after he had turned 50. And four of the of 10 paintings were completed when Picasso was 51. Again…it’s the long-term commitment to your vital priorities and vital functions…perfecting your craft with years, and years, and years of disciplined effort. I have mentioned vital priorities and vital functions a couple of times this morning — so if you want a refresher on terminology — just go back and listen to episode 203. I dedicated an entire solocast to the topic of the vitals in your business and the lessons I learned from one of my mentors, Darren Hardy. So let’s move onto another example of long-term success. It would be very easy to look at James Patterson, one of the most successful novelists in history, and think — wow — here’s a guy who has it made. How amazing to be that lucky — to just write all day — what a joy. Again, let’s go behind the green curtain. I had an opportunity to interview the incomparable Linda Kaplan Thaler — oh my word, Onward Nation — Linda is brilliant. She was the creator of the AFLAC duck and so many ad campaigns that I know you will recognize if you go back to listen to our interview. But during our conversation, Linda told me about how she used to work for James Patterson when James was the creative director of the agency where Linda worked. James and Linda worked together for 17-years and became great friends. As Linda shared with me, James did not become a great novelist by accident or luck. Instead, to perfect his craft, James would get up every morning at 4:00 and would write for four hours until 8:00 when he would leave his home for the agency. He would then put in a full day — go home — and be in bed by 8:30 every night. And he rinsed and repeated this process for 21 years, Onward Nation. Staggering. 21 years! Just think about how many times during those 21 years that he would have second guessed himself, called himself bat crazy, how much criticism he received from friends and family encouraging him to just quit and to give up on his dream, and so much more. He remained committed to his vital priority — and after 21 years — he became the successful James Patterson we know today. Or, how about Henry Ford? He was 40 years old when he founded the Ford Motor Company with the help of friends, family, and several investors who collectively helped him raise $28,000 in capital in 1903. And if you look through Mr. Ford’s timeline, you will see trials, tribulations, blood, sweat, tears, heartache, success, followed by disappointment, followed by triumph, followed by obstacles. If you only look at someone’s front-of-stage — what you see in the public eye — you miss all of the struggles, the obstacles, the pain, the suffering, the courage, and their zig-zagged journey to where they are now. For example…we could look at Dwayne Johnson, aka The Rock, one of Hollywood’s hottest and most in-demand actors today…and it would be easy to fall into the trap of thinking that his path to success was different…that it wasn’t full of struggle, grinding it out, working hard to be the best…and most importantly…that it took 20-years for Dwayne to reach the pinnacle of success that he now enjoys. 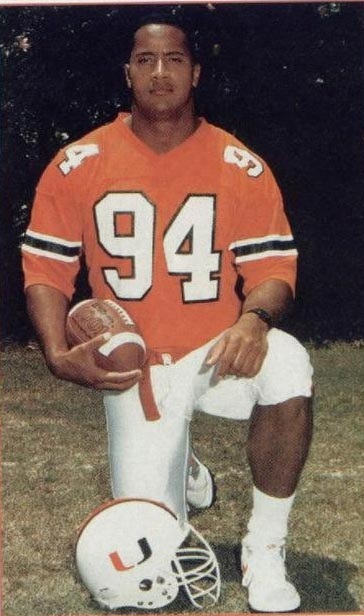 An injury on the football field at the University of Miami that ended any hope of a professional football career that then he directed his attention toward professional wrestling. And then he worked tirelessly to perfect his craft…slowly…training…making mistakes…until he made it to the big show…22,000 people in New York City’s Madison Square Garden…and a pay-per-view television audience for his first big shot at a win back in 1996. And due to all of the excitement…he forgot to direct his attention toward the correct camera…so the huge at-home audience saw a lot of The Rock’s back. Did this send him spinning and worrying about the mistake? No! He got back to work…and ground it out for years until he won his first WWE championship. And then that success led to controversy and tension…which he battled through…and finally some smaller movie roles…then a movie series…then some larger roles…and in November 2016…a starring role in Disney’s Moana as the mythical, Maui, whose bigger than life personality is a perfect fit for The Rock. 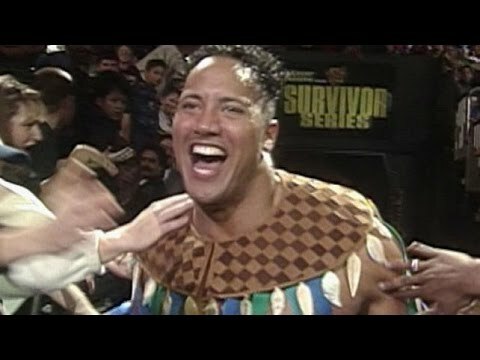 But what if The Rock would have quit after football? What if he would have quit in his early WWE career and let the frustration of not getting an early break set him back? What if he approached the smaller movie roles with less than full enthusiasm and instead decided to hold out for the big one? What if, Onward Nation…The Rock had not been willing to invest the 20 years of blood, sweat, and tears to become an overnight success? And what if you don’t? You will be robbing the world of your special gifts and talents. What if Napoleon Hill gave up and quit because he had not become an overnight success? But, most people don’t know the story behind the success of “Think & Grown Rich” — and how the first edition, per se, was a great book but not well-received by the American public. First, it was published in 1928 — just one year before the Great Depression. The American public was not looking for — or ready for — a success manuscript at that time. And second, the book was huge and it was under a different title. It was the 612-page “Law of Success” — wow. I own the book — it is sitting on my desk right now — and it is amazing. 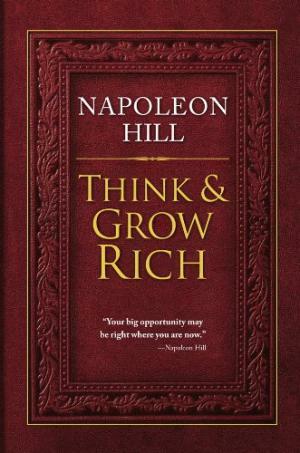 Smartly, Napoleon decided to revise and repackage the Laws of Success by trimming it down — making it more concise — and then publishing it as “Think & Grow Rich” in 1937, nearly 10 years later, following the Depression. “Think & Grow Rich” then went on to sell 70 million copies worldwide. Again, no such thing as an overnight success. So don’t give up, Onward Nation! I hope you realize that the struggles you are facing — perhaps the abyss you are staring into right now — is all part of the master plan. You are more talented, more wonderful, more gifted, more incredible than you can possibly imagine. You are a child of the highest God and were blessed with an abundance of talent — so don’t quit — don’t give in — don’t stop. Keeping moving forward — success is there for you — just not overnight. My direct email address is stephen@onwardnation.com — and yes — that is my actual Inbox. No fancy filters or filing system and I read and reply to every single email.